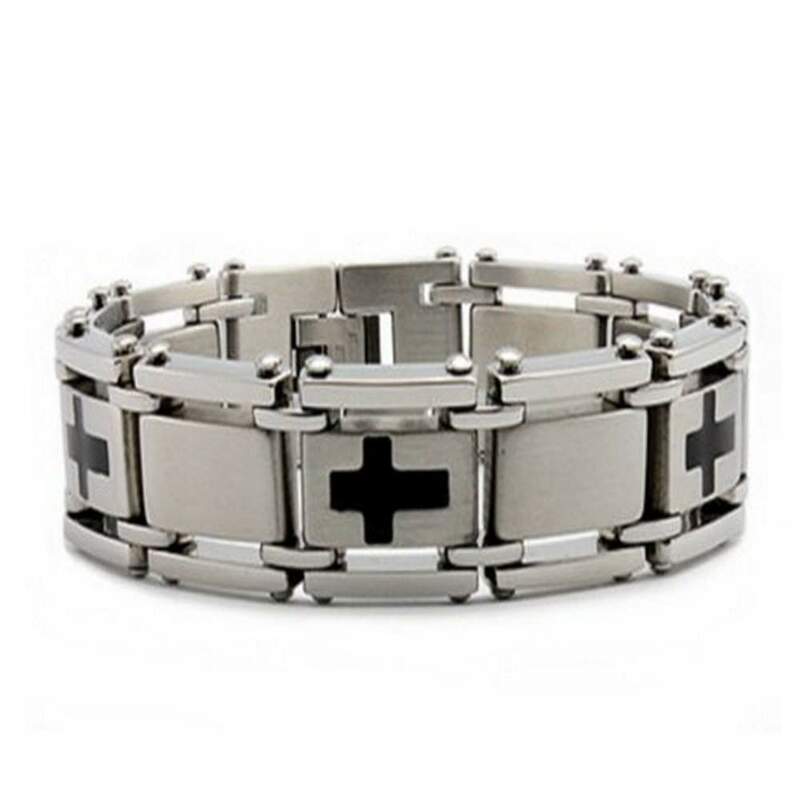 A fashionable look holds a deeper meaning in this stainless steel men's bracelet. Brushed finish center links are flanked by highly polished sides, and every other link is adorned with a black resin-filled cross (5 crosses total). A fold-over clasp completes this 14.5mm wide by 8.25 inch long men's stainless steel bracelet.